London Fashion Week kicked off last Friday. Here's what I wore on Day 2 of Fashion Week ( Which was actually my first day) but for the terms of the post I will say day 2. I opted for my favourite trend of them all which is colour blocking. I never get tired of colour blocking and happily love mixing different colour ways together to create a flawless finish. 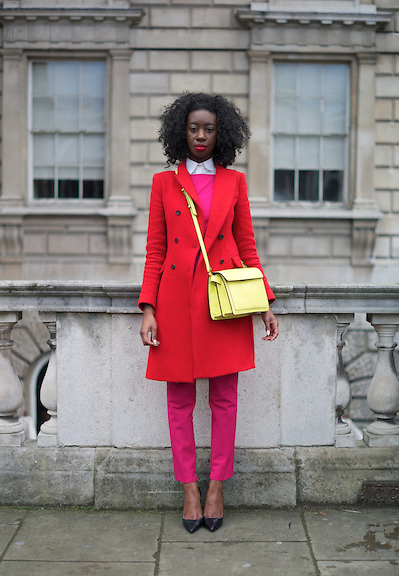 As you see I choose to wear Red and Pink and accessorised with a bright crossover bag. This bag was a piece I wore day in and out when I purchased it last year. I love it dearly. 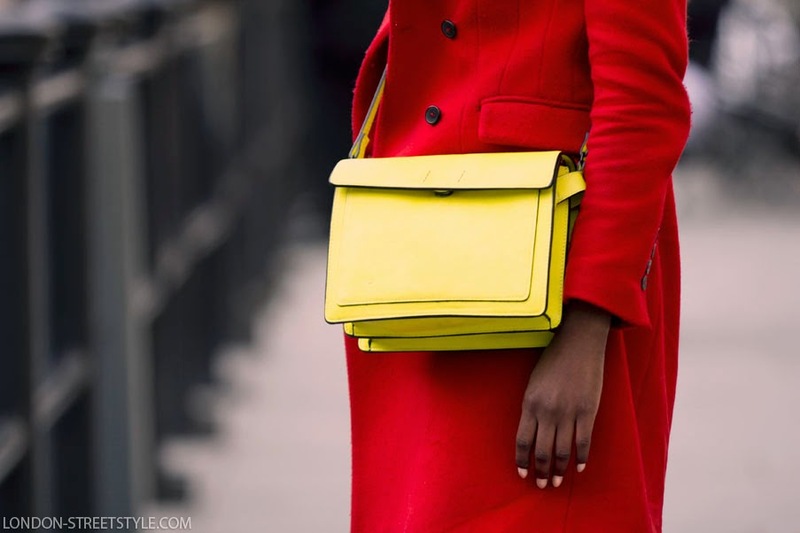 So compact with so many compartments and it's a lovely shade of neon yellow. In the 3rd picture I got stopped by an eyewear company called Termite who have launched their brand and was asked what I thought of the glasses and if I would pop them on right there and then. The glasses are designed and handmade of sustainable wood which I think is amazing. So defiantly more crafty and unique then your original pair of sunglasses that you usually come across. Circular Perfection!! Love Them!! LOVEEEE! I wish I could colour block, you've got it down to a science! Thanks Natalie.. Everyone has it in them to colour block it's defo worth a shot hun! 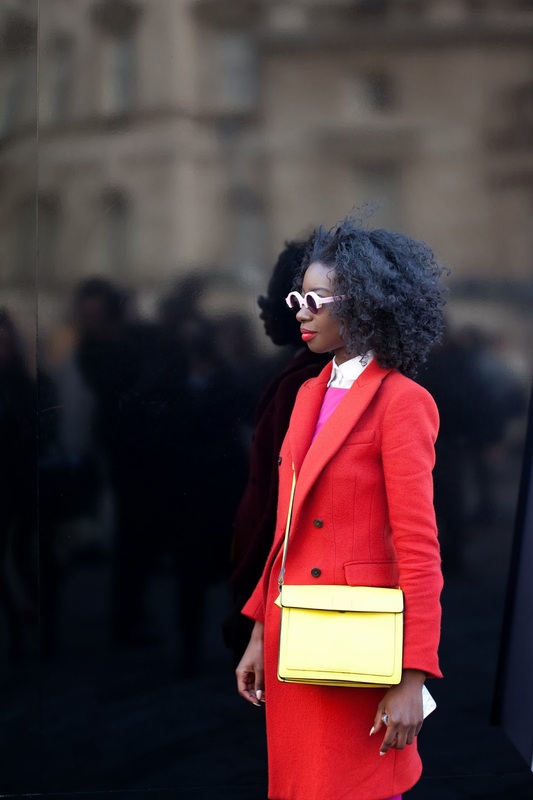 Love the colour blocking and the pictures.